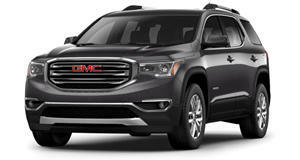 GMC has recently made leaps and bounds with the new Acadia because the consumer craze over the mid-sized SUV is such a cash magnet that competition has reached a boiling point. Currently, automakers have no choice but to keep their SUVs as fresh as possible to avoid losing sales to a newer and more sleek competitor. After covering the reveal of the new Acadia, which took place at the Detroit Auto Show last January, we were looking forward to spending a week with one. Unfortunately our experience ended after just 24 hours. I picked up the Acadia at an airport parking lot after getting back from a long week of travel. The winter air was cold enough that moisture in the air was condensing on the windows and my casual styling choices consisting of jeans and a tee were doing little to comfort me. If there’s such a thing as a list of optimal cars to climb into on a cold night, dog tired and wanting nothing but the familiarity of home, the Acadia would rank high on it. The parking lot attendant who led me through the maze of vehicles parked for the holidays, a maze presumably numbered by a descendant of the creator of the enigma, commented on the Acadia mentioning how smooth the ride was. Not wanting a conversation, I tried to downplay it but that failed as the automatic tailgate beeped and opened, filling the awkward silence. Now a base Acadia starts just shy of $30,000, but the one I had the keys to happened to be the Denali. The package replaces the 2.5-liter inline-four with the same 310 horsepower 3.6-liter V6 seen in the Cadillac XT6 and adds enough luxury amenities to appear targeted to an audience that wants a useful SUV that’s loaded like a luxury car but more subdued than the competition. It also raises the sticker price to $48,240. But it’s hard to argue with that when AWD capability, rear captain's seats arranged in a comfort-oriented 2-2-2 configuration, and a heated steering wheel, front, and middle seats are thrown in. On the road, the Acadia’s defining characteristic, summed up so eloquently by the parking lot attendant, came through with no interruption. The Cadillac XT5 we drove a short while back had interior vibrations that disrupted the peace of the cabin, but the Acadia remained smooth and unsettled by bumps in the road. At highway speeds it’s not the most quiet car we’ve tested, but that’s made up for by the eight speaker Bose sound system. Don’t worry about burning through data when playing music off of Spotify from a Bluetooth connected phone because the Acadia has built in WiFi to keep the kiddos in the backseats entertained on long trips. God forbid they play a game of I-Spy or Slugbug. When I arrived home for the night, soothed from my trip and looking forward to helping a friend move apartments in order to test the Acadia’s worthiness as a utility vehicle, I squinted to try and see the nearly imperceptible shadows being picked up by the back-up camera and ended up parking near a broken glass bottle. The sharp edge was almost under the front tire, threatening to puncture it had I backed up another inch. Crisis averted, but unfortunately that incident isn’t the only acquaintance I had with broken glass and the Acadia. Leaving the office the next day, I loaded my belongings into the SUV and set out for the grocery store. Bad move. The responsive touchscreen keyboard on the infotainment made post-work relaxation easy as it gobbled up the address inputs I sent its way. Leaving it parked on the street while shopping for groceries, I came back to load the Acadia with a week’s worth of food and saw, under the Acadia’s dim interior lighting, what looked like splotches of water splashed around the cabin. I blinked and looked up, and it was then that I realized that the remnants of the passenger side rear window were now just dull shards of safety glass. My belongings, laptop included, were nowhere to be found. This meant that my last ride with the Acadia was a drive of shame straight to the CarBuzz parking lot where it would be taken back for repair. 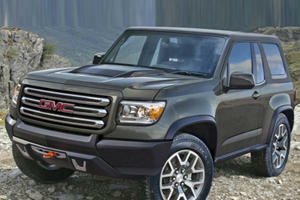 In my eye, GMC has always been a highly specific brand for GM. It caters to Americans who pride themselves in their work. In essence, the blue collar worker who’s played by the rules and now makes a white collar salary. Someone who wants all of the trappings offered by a luxury car but who also wants to let their friends know that they still have dirt under their fingernails and wake up at 4:15 AM with or without an alarm clock. GM still stuck to this recipe, but the main issue with the Acadia is that it’s no longer designed for this crowd. 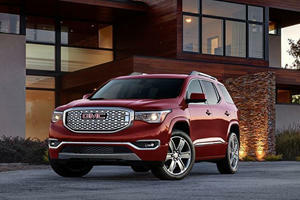 Instead, it’s built for the masses who seem to be spending large sums of money on any SUV with a hint of chrome. That’s probably why, despite hiding my belongings, the attention-grabbing 2017 Acadia was chosen for robbery even when surrounded by a row of Hondas and Nissans. My short 24 hours with the Acadia taught me an expensive lesson and cut my experience with the SUV short, but in that blip of time, I learned that GM is playing its cards right by offering this all-in-one package at a fair price. Here's to broken glass, the smell of leather seats that have never been sat in before, and smoothness that can’t be interrupted by air flowing through the hole where a window used to be. Thankfully GM isn't mad because in place of the Acadia, it sent us a Cadillac CTS-V. More on that shortly.